The Beginning of the Series "The Russian Avant-garde"
Where did the series about the Russian Avant-garde begin, is a question I am asked from time to time. I had been working as a consultant for a documentary film company in Russia advising them about foreign distribution for their films. It was during this time especially that I learnt about making films in Russia. 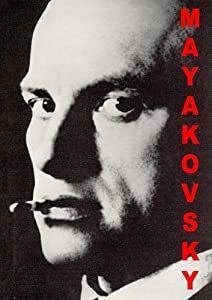 I had worked on feature films in Russia before, for instance "Grushko" in St Petersburg, and two other films in Moscow, ending with "The Stringer" Participating in these projects gave me some rich experiences and significant insights into film making in Russia. The work with the documentary film company, however, gave me some real hands on experience of working in Russian studios and some good contacts which encouraged me to start making my own films. 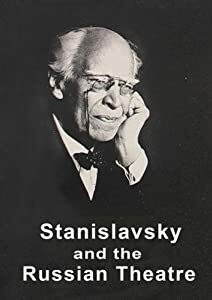 I wasn't sure at first what to make films about, which subjects to tackle so to speak and then by chance I heard about an exhibition of the Costakis collection in Moscow. Costakis collected paintings and works of art from avant-garde artists of the 20s and 30s who largely left Russia and tried to eke out an existence in the various capitals of Europe. After the war Costakis travelled around Russia and Europe collecting these paintings, sometimes picking them up for 50 dollars or a bottle of wine or so legend would have it. 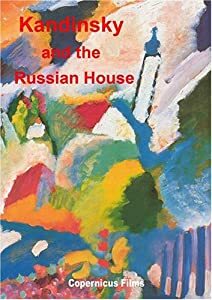 In a word he singlehandedly rescued hundreds and hundreds of paintings to amass what became a priceless collection of avant-garde works which he donated to the Russian State. In the beginning Costakis collected the Masters of the Dutch School of Landscape Painters but modernist works by Picasso and Matisse soon fell within his field of vision. In 1946 he came across three paintings in a Moscow studio by Olga Rozanova . He described how, in the dark days after the war these brightly coloured paintings of the lost Avant-Garde: "were signals to me. I did not care what it was... but nobody knew what anything was in those days".So struck by the powerful visual effect of the strong colour and bold geometric design which spoke directly to the senses, that he became determined to rediscover the Suprematist and Constructivist art which had been lost and forgotten in the attics, studios and basements of Moscow and Leningrad. He hunted for pictures which had been 'lost', some that were rolled up and covered with dust. 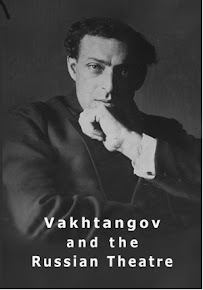 He met Vladimir Tatlin and befriended Varvara Stepanova. He tracked down friends of Kasimir Malevich and bought works by Lubov Popova and Ivan Kliun. He particularly admired Anatoly Zverev, Russian expressionist whom he met in the 50's. Costakis said about Zverev "it was a source of great happiness for me to come into contact with this wonderful artist, and I believe him to be one of the most talented artists in Soviet Russia." By the 1960 George Costakis' apartment in Moscow had become a place for international art collectors and art lovers in general to meet and exchange ideas and opinions, as some called it, Russia's unofficial Museum of Modern Art. The same year Costakis, with his family, left the Soviet Union and moved to Greece , but he agreed that he should leave 50 per cent of his collection in the State Tretyakov Gallery of Moscow. In 1997 the Greek State bought the 1275 works and they are now part of the permanent collection of the State Museum of Contemporary Art, in Thessaloniki, Greece. It was this story which first inspired me to make a film. The passionate quest of Costakis, I believed, would make an excellent documentary film. I became even more convinced after I saw the exhibition of his collection in Moscow some time in 1998. It seemed to me that there was something unique and intriguing in the geomtrical and abstract colours and shapes. 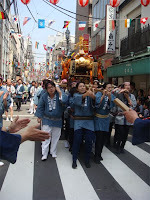 They seemed to have a dynamism and energy which I had not encountered anywhere else or in any other artistic tradition. However the logistics for the film failed to gain any traction. All the same I still continued to research the subject of the Russian Avant-garde and as part of these researches I came across Alexander Rodchenko, the painter and photographer. People often asked me why in particular Rodchenko became the first film I made. “Why Rodchenko?” they would say. There were two basic reasons which attracted me to the idea of making a film about Rodchenko. Firstly Rodchenko abandoned painting altogether to take up photography. Easel painting is dead he maintained, only the camera can reflect the social and visual realities which were emerging at that time. It was this idea of a painter almost violently going against his own art which I thought would make a good film. 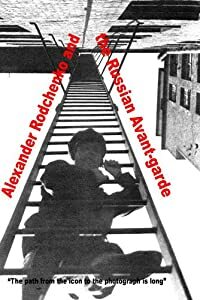 The second reason is that Rodchenko’s experiments in art and photography helps establish a working visual grammar for anybody undertaking a film especially if it is ones first serious film. 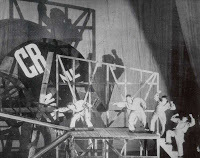 "The visually coherent "look" which the film has was already present in Rodchenko photographs. His understanding of the compositional values in any image, such as volume, contrast, depth, balance, proportion etc is a perfect introduction to any film maker. One other point which is worth making is that Rodchenko saw Moscow not as a place to live and work but as a territory for study, that is a space exploring new visual and aesthetic frontiers. He would walk around Moscow photographing the new buildings and objects appearing on the streets, finding new angles and perspectives to illuminate the mundane and make the spectacular commonplace. As I followed in his footsteps, literally, I got an excellent "feel" for the material. Moscow no longer remained a bleak, cold and alien environment I had experienced when I first arrived but a city with immense visual and creative possibilities. Already a month since we have returned from Japan. The backlog of business was formidable even though I tried to deal with a much as I could while we were on the road in Japan. Reasonably successful dealing with most things but all the same the sheer volume of tasks was overwhelming once we arrived back in Moscow. I had made a conscious decision to try and hit the ground running and get straight back into editing as soon as possible and that more or less worked out. Just getting back into the rhythm of Moscow life is a task in itself but then I have plenty of experience. Its time to really take stock of what was the outcome of the whole Japan trip. The first thing to say is that we achieved at least 95% of the goals we set our selves plus an extra 20% of other goals which were fulfilled through the chances and opportunities thrown up by simply being in Japan for such an extended period. Ultimately these things aren't quantifiable in any meaningful sense but it gives some idea of scale. For instance after visiting Oshima with Akira Suzuki and meeting the curator of the Island Museum in memory of Gomo Kimuro we decided to interview both of them and the connections they have with the Island and its culture.I hadn't really intended this, I really just wanted to look at the Island and film a bit especially as David Burliuk spent time there painting with his family. It unclear how to use this material but there are various possibilities which are worth pursuing. As for the main task in hand, that is the two films about Japanese art which are in progress (One traditional one contemporary), the material which we have shot and coupled with the extensive research we were able to complete in Japan have broadened and given depth to a project which was already at a well developed stage. The situation as it stands now is that I have to extend the post production stage for a much longer period than I expected but in the long run it will be of over all benefit to the project. At the moment its too early to reveal the substance of the films in question simply to say that they will concentrate on Japanese art seen from an unusual perspective and contemporary art in Japan. The films will be linked thematically so that from time to time there will be a seamless crossover from one film to the other but at the same time the two films will stand alone as separate entities and can be viewed as such. Editing is progressing at a slow but steady pace and unfortunately you can't rush these things, its laborious,time consuming but rewarding. Time will tell. The Avant-garde series is selling well in most outlets. The Pompidou centre in Paris ordered more discs and negotiating with Guggenheim about Kandinsky film. In 2008 Bob Duggan reviewed the film "David Burliuk and the Japanese Avant-garde on artblogbybob. 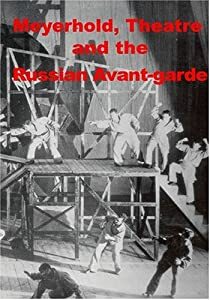 His comments about the section which referred to Gauguin in the film led to a reassessment of the way the whole series of documentary films called The Russian Avant-garde - Revolution or Renaissance. was constituted, of which "David Burliuk and the Japanese Avant-garde" is a part and was produced by Michael Craig and Copernicus Films in 2007. 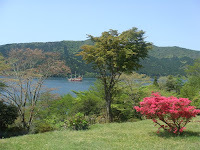 On his site, as well as commenting on the quality of the photography in the film, Duggan explained that he was especially interested in the part of the film about David Burliuk and his trip to Ogasawara, a small Japanese island in the Pacific ocean about a thousand kilometres south of Tokyo. David Burliuk admired and drew inspiration from Gauguin. In 1920, after several successful exhibitions in Japan, Burliuk traveled to the Ogasawara islands to recuperate after his gruelling journey through Siberia and paint in the manner of Gauguin who also traveled to the island of Tahiti in the early 1890s in order to develop what he believed would be a new art for a new era. Gauguin was himself also strongly influenced by Japanese art and this overlapping of interest in the film was of particular interest to Duggan. When this section was included in the film, not only did it have implications for the structure of the film, in so far that Burliuk was interested in Gauguin and wanted to emulate Gauguin, it also had implications for the entire series. Gauguin was a precursor of the Russian Avant-garde and strongly influenced this unique artistic event in the history of world art. In this sense the episode devoted to Gauguin did not simply draw together strands of the Burliuk film but also drew the strands of the entire series together, connecting the sometimes disparate and amorphous phenomena which is known as the Russian Avant-garde. The Russian avant-garde incorporates movements from neo-primitivism, rayonism,constructivism and lasted roughly through a period from the 1880s until the early 1930s. This section of the film about Burliuk, gave the series a prisim though which all the various themes of the series could be viewed even if the structure is somewhat imposed on the material. 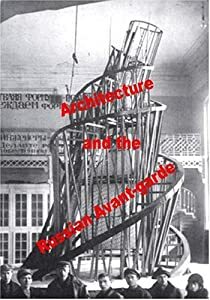 Self evidently any structure which is applied to the history of the Russian avant-garde is not a true reflection of its development but merely a method of organising material into a coherent and accessible form for digestion by the public or viewer. 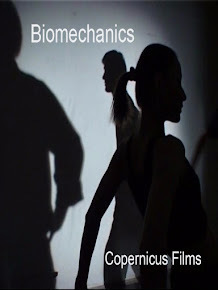 The most important thing while preparing such a film is to be aware of this framework as something which is imposed and try not allow it to dominate an understanding of the material. In this way the viewer can reach their own conclusions or can be stimulated to discover the subject further for themselves. An example of the problems which arise for instance is associated with the whole project of presenting artists as if they were individuals working in isolation of the world around them. I will try to explain this in more detail. In the west we privilege the individual over and above the collective and this is a result of our liberal humanist tradition derived form Christian-Judaeo concepts of the individuals place and role in the world. The development and progress of western culture is presented as a parade of past individual geniuses who serve as pillars or supports upon which society rests and in the present a further group of lone geniuses which will propel it into the future. For many Russian avant-garde artists and writers this obsession (or what they considered an obsession) with individual genius was in their eyes an obstacle to artistic progress and a false assessment of the contribution by artists to the overall development of society. As Alexander Rodchenko commented in the 1920s that in the modern era, in the age of the machine and industrialisation ..."there will never be a unique airplane or car" ..therefore ..."we need artist workers, not geniuses". This belief was further underlined by Osip Brik, the futurist thinker who announced in a clear attack on the notion of authorship and its connotations of genius, that if Pushkin had not written Eugene Onegin somebody else would have sooner or later. This brings me back to the documentary arts series: The Russian Avant-garde - Revolution or Renaissance. 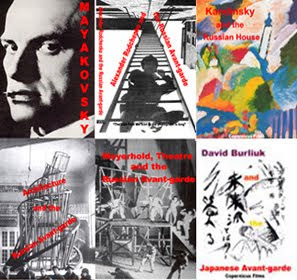 Nearly all the films where about individuals "Rodchenko and The Russian Avant-garde", "Meyerhold, Theatre and the Russian Avant-garde", "Kandinsky and the Russian House", "Mayakovsky" and of course "David Burliuk and the Japanese Avant-garde". Only one film in the series "Architecture and the Russian Avant-garde" has a more general thematic structure, however even in this film I concentrated on three main figures - Malevich, Tatlin and Constantine Melnikov. 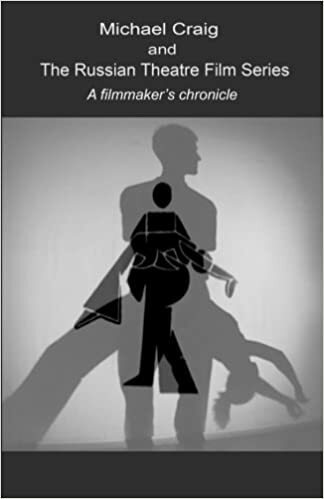 It was very difficult to wriggle out of such a thematic straight jacket but nonetheless in each film a concerted attempt was made to relate the individual accomplishments of each artist to the wider concerns of the period and not portray them as lone geniuses working in isolation of each other but part of an artistic movement which had deep roots in the social and political events of the early part of the 20th century. Artists like Gauguin, Kandinsky, Burliuk and Rodchenko were grappling with some of the same artistic problems of their age, albeit exploring different solutions depending on the context in which they found themselves. The film "David Burliuk and the Japanese Avant-garde", with its reference to Gauguin's influence on the work of the Russian avant-garde artists of the era, presented an opportunity to draw together many of the threads which constituted this artistic epoch without forcing a preordained framework on the series. Instead the viewer could make up their own mind as to how the phenomena of the Russian avant-garde developed and influenced art in Russia before and after the revolution.